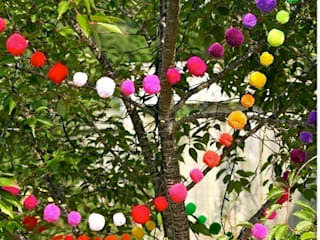 PomPom Galore was launched in the quest to design and develop a new decoration using the traditionally made pom pom. 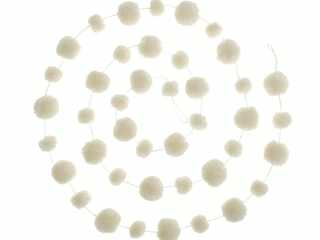 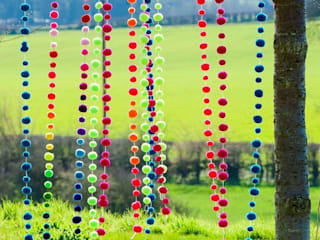 Pom pom garlands are used to festoon, decorate and generally bring a smile! 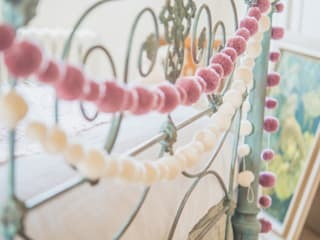 Following a successful launch with just 3 garlands, PomPom Galore now offers a range of pom pom garlands in different colour ways as well as a selection of accessories including hair bobbles, book marks, push pins, magnets and key rings/ bag clips. 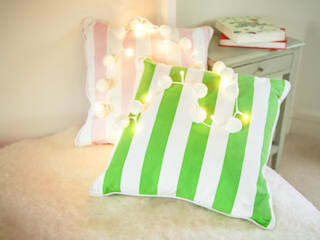 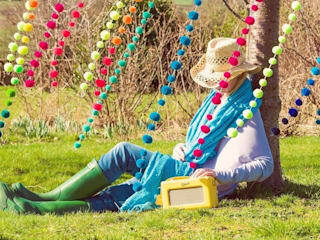 New pom pom fairy lights have recently been added to the ever expanding PomPom Galore portfolio. 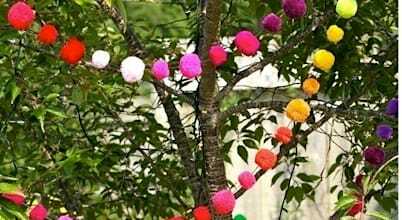 Spring is well and truly in full-swing—the nights are longer, warmer, and parties are beginning to move outdoors, into the garden, and away from the restrictive confines of four walls.